A group of Pennsylvania public-safety answering points (PSAPs) are leveraging fiber connectivity and a Cassidian Communications's next-generation 911 solution to enable virtual sharing of resources, enhanced functionality and cost savings--"all the benefits of consolidation, but you still get to keep your PSAP open," according to the consultant that helped lead the project. Nine public-safety answering points (PSAPs) serving 10 counties in the Northern Tier of Pennsylvania have leveraged IP connectivity via fiber backbone and Cassidian Communications’ VESTA/Sentinel 4 next-generation 911 call-taking system to boost reliability, interoperability and operational flexibility—all while realizing significant cost savings, according to the consultant that helped spearhead the project. Michael McGrady, president of MCM Consulting Group, said today’s regional network of PSAPs is very different from the vision provided to his company in 2011, when several of the counties were seeking to upgrade their 911 systems separately. But MGM Consulting Group assessed that individual 911 upgrades would not be in the best interest of the counties, because a single regional system would enhance functionality, including the ability to transfer 911 calls between each other while retaining information about the caller’s address (ALI) and phone number (ANI), he said. 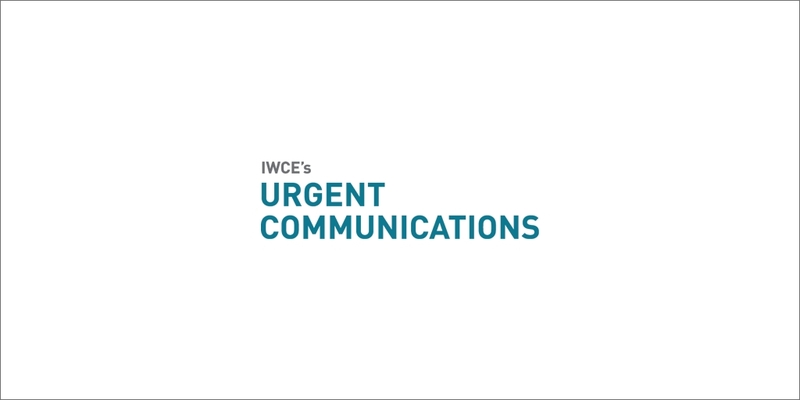 “As we started working with the counties and researching, we realized that that these systems were all individual silos,” McGrady said during an interview with IWCE’s Urgent Communications. “Everyone had their own 911 switch, but they couldn’t talk to each other. Even if they had the exact same piece of equipment or something similar to it, they couldn’t transfer calls between them that showed ALI and ANI. To make the regional vision work, the Northern Tier PSAPs needed to have redundant fiber connections to enable a virtual sharing of resources among the PSAPs—a task that was achieved by contracting with a private fiber provider at a rate that was 60% less than the amount quoted by the local exchange carrier (LEC) in the region, McGrady said. In terms of the 911 solution for the regional system, the choice of Cassidian Communications “was easy, as the company’s technology best met the needs of the counties,” McGrady said in a prepared statement. Key characteristics of the VESTA/Sentinel 4 solution that were attractive to the Northern Tier counties included its IP-based architecture and its ability to support two host sites, each of which is capable of running the entire network by itself. By combining this system with diverse and redundant fiber connectivity, the regional system—completed about a year ago—is designed to be resilient, allow full-featured call transfers between PSAPs and enable emergency calls to be answered by a neighboring PSAP during periods of heavy call traffic, McGrady said. In addition to realizing functional benefits, the migration to a regional 911 network also has proven to be a financial boon, resulting in capital cost savings of $2.3 million and annual operational savings of more than $300,000 per year across the network, McGrady said. “It’s been a full year [of operation], and things are going very well—so well that another county joined us,” he said.